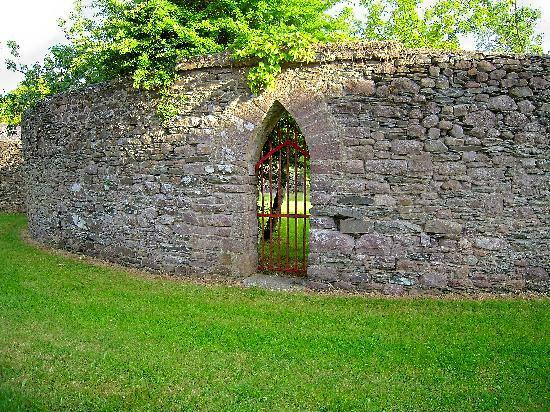 How Can Advertisers Bypass The Industry’s Walled Gardens? In this increasingly cross-device world, marketers have been steadily losing the ability to connect with consumers in meaningful ways. Being a marketer has gone from three-martini lunches where you commit to a year’s worth of advertising in November to a constant hunt for new and existing customers along a multifaceted “customer journey” where the message is no longer controlled. Modern ad tech is supposed to be the marketer’s savior, helping him sort out how to migrate budgets from traditional media, such as TV, radio and print, to the addressable channels where people now spend all of their time. Marketers and their agencies need a technology “stack,” but they end up with a hot mess of different solutions, including various DSPs for multiple channels, content marketing software and ad servers. Operating and managing all of them is possible, but laborious and difficult to do right. Worse still, these systems are nearly impossible to connect. Am I targeting the same consumer over and over through various channels? How to manage messaging, frequency and sequencing of ads? Since all of these systems purport to connect marketers to customers on the audience level, the coin of the realm is data. It’s not just “audience data” but actual data on the individuals the marketer wants to target. Marketing is now a people game. Yet, in the cross-channel, evolving world of addressable media, connecting people to their various devices is difficult. You need to see a lot of user data, and you have to not only collect web-based event data, but also mobile data where cookies don’t exist. Deterministic data, such as a website’s registration data, can lay the foundation for identity. When blended with probabilistic data and modeled from user behavior and other signals, it becomes possible to find an individual. Right now, the overlords of the people marketing game are platforms like Google, where people are happy to stay logged in to their email application on desktop, mobile and tablet, or Facebook, which knows everything because we are nice enough to tell them. Regular publishers may be lucky enough to have subscription users that log in to desktop and mobile devices, but most publishers don’t collect such data. Their ability to deliver true one-to-one marketing to their advertisers is limited to their ability to identify users. This dynamic rapidly makes the big “walled gardens” of the Internet the only place big marketers can go to unlock the customer journey. That might work for Google and Facebook shareholders and employees, but it’s not good for anyone else. In our increasingly data-dependent world, not all marketers are comfortable borrowing the keys to user identity from platforms that sell their customers advertising. Soon, everyone will have to either pay a stiff toll to access such user data, or come up with innovation that enables a different way to unlock people-centric marketing. What is needed is an independent “truth set” that advertisers can leverage to match their anonymous traffic with rich customer profiles, so they can actually start to unlock the coveted “360-degree view of the user.” Not only does a large truth set of users create better match rates with first-party data to improve targeting, but it also holds the key to making things like lookalike modeling and algorithmic optimization work. Put simply, the more data the machine has to work with, the more patterns it finds and the better it learns. In the case of user identity, the probabilistic models most DMPs deploy today are very similar. Their individual effectiveness depends on the underlying data they can leverage to do their jobs. In the new cross-device reality: If you can’t leverage a huge data set to target users, it’s time to take your toys and go home. Little Johnny doesn’t use his desktop anymore. Think about the three principle assets most companies have: their brand, their intellectual property and products and their customer data. Why should a company make a third of their internal value dependent upon a third party, whether or not they pledge “no evil?” Those that offer a “triple play” of mobile, cable television and phone services are also part of the few companies that can match a user across various devices. The problem? They all sell, or facilitate the sale of, lots of advertising. Marketers are not sure they want to depend on them for unlocking the puzzle of user identity. Some of the greatest providers of audience data are independent publishers who, banded together, can create great scale and assemble a truth set as great as Facebook and Google. Maybe it’s time to create a data alliance that breaks the existing paradigm. The “give to get” proposition would be simple: Publishers contribute anonymized audience identity data to a central platform and get access to identity services as a participant. This syndicate could enable the deployment of a universal ID that helps marketers match consumers to their devices and create an alternative to the large walled gardens. The real truth is that, without banding together, even great premium publishers will have a hard time unlocking the enigma of cross-device identity for marketers. Why not build a garden with your neighbors, rather than play in somebody else’s?